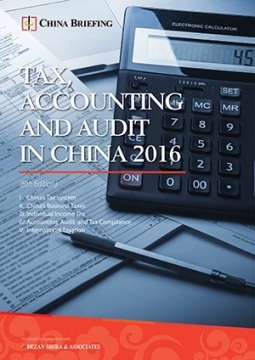 This edition of Tax, Accounting, and Audit in China, updated for 2016, offers a comprehensive overview of the major taxes foreign investors are likely to encounter when establishing or operating a business in China, as well as other tax-relevant obligations. This concise, detailed, yet pragmatic guide is ideal for CFOs, compliance officers and heads of accounting who must navigate the complex tax and accounting landscape in China in order to effectively manage and strategically plan their China operations. It is used by the Guanghua School of Management, Peking University as course reference material. Please note that this publication has now been updated. Check here for the latest edition. Tax, Accounting, and Audit in China 2016 offers a comprehensive overview of the major taxes that foreign investors are likely to encounter when establishing or operating a business in China, as well as other tax-relevant obligations. This concise, detailed, yet pragmatic guide is ideal for CFOs, compliance officers and heads of accounting who must navigate the complex tax and accounting landscape in China in order to effectively manage and strategically plan their China-based operations. Taxation affects almost all aspects of doing business in China. With an idiosyncratic legal system widely different to that of Western countries, having a strong understanding of China’s tax liabilities enables foreign investors to simultaneously maximize the tax efficiency of their overseas investments while ensuring full compliance with the country’s tax laws and regulations. In this guide, we discuss China’s tax laws and administration, corporate income tax, value-added tax, and individual income tax calculation methods and applicability. We also cover annual compliance requirements, profits/dividends repatriation and financial due diligence. In the international taxation context, we address such topics as transfer pricing and double taxation treaties. It is currently used by the Guanghua School of Management, Peking University as course reference material.